How is my data handled when ordering from your website? This is our privacy statement. Please read it carefully. Astrosyn International Technology Ltd is committed to ensuring that your privacy is protected. If we ask you to provide certain information by which you can be identified when using this website, you are assured that it will only be used in accordance with this privacy statement and in compliance with the new General Data Protection Regulations (GDPR 25th May 2018). • if you have previously agreed to us using your personal information for direct marketing purposes, you may change your mind at any time by writing to or emailing us at sales@astrosyn.com. We will not sell, distribute or lease your personal information to third parties unless we have your permission or are required by law to do so. We may use your personal information to send you promotional information about third parties which we think you may find interesting if you tell us that you wish this to happen. You may request details of personal information which we hold about you under the Data Protection Act 1998. A small fee will be payable. If you would like a copy of the information held on you please write to Astrosyn International Technology Ltd, The Old Courthouse, New Rd Ave, Chatham, Kent ME4 6BE, England. If you believe that any information we are holding on you is incorrect or incomplete, please write to or email us as soon as possible, at the above address. We will promptly correct any information found to be incorrect. • you may copy the content to individual third parties for their personal use, but only if you acknowledge this website as the source of the material. You may not, except with our express written permission, distribute, transmit, store, or commercially exploit the content in any other website or other form of electronic retrieval system. How long does delivery of online orders take? All prices shown include UK mainland carriage charges, but exclude VAT or any other taxes that may be applicable in your country. Carriage charges for many countries and areas outside of the UK mainland are shown in the table above. For all other international destinations, please contact us. VAT at the UK rate ruling at the point of order placement will be added to the amount charged at checkout. We aim to ship your order within 1 to 3 working days using the parcel delivery services shown above. If you wish you can leave special delivery instructions when you go through the checkout process. If you do not leave any special instructions and you are out when the courier arrives they will leave a card for you to contact them. Some small orders may be shipped using Royal Mail. Our target of 1-3 day dispatch reflects our normal stocking levels. This is subject to stock availability and there may be occasions where demand on certain products outstrips supply. If we expect to be unable to deliver within 14 days we will advise you within the first 7 days of placing your order, with the option to cancel your order, or select an alternative product. We will not be liable to you for any loss of profits, administrative inconvenience, disappointment, indirect or consequential loss or damage arising out of any problem in relation to delivery and we shall have no liability to pay any money to you by way of compensation other than any refund we make under these conditions. This does not affect your statutory rights as a consumer. What if I need to return a product ordered online? Goods ordered in error, surplus to requirements, or unsuitable may be returned to us within 14 days of receipt on condition that they have not been used or fitted and they are undamaged in the original packaging. You will only be refunded your delivery cost if the return is as a result of our error (e.g. a faulty product, or incorrect shipment). If we agree to provide you with a refund, we will credit your credit/debit card account within 30 days of receipt of the returned product. Goods ordered in error, surplus to requirements or unsuitable will be subject to a 15% handling charge. You may cancel your order at any time prior to the order being dispatched. Please contact us to check whether the goods have already been shipped. How secure is ordering online from your website? By cheque in British Pounds drawn on a UK bank. Please note we cannot accept cheques in any other currency or drawn on a non-UK bank. When paying by cheque, orders will be shipped when funds are cleared. Send a cheque made payable to:-Astrosyn International Technology Ltd, The Old Courthouse, New Rd Ave, Chatham, Kent ME4 6BE, England. Please remember to write your order number on the back. Q: How can I work out which battery charger I need? A: You will need to know the battery type, number of cells, voltage and Amp-hour capacity. This information will allow you to select the relevant charger model range for your battery. The maximum charging currents are shown for each product, which will allow you to estimate the charging time. Guidance on charging techniques can be found in our technical advice section. The final choice is really an economic one – faster chargers tend to be more expensive than slower ones! Q: Are your products suitable for worldwide use? A: The majority of our products are available in 230V and 115V versions, and there are some that will automatically select the correct input voltage. We fit suitable plugs and housings for UK and European applications. Please contact us for other parts of the world. A: For small quantities, most standard products are available ex-stock or within 1-3 days. Custom designs and large quantities obviously take longer, but we generally set up a call-off schedule to ensure that a steady supply can be guaranteed. Q: Does Astrosyn sell PM steppers online? A: No. This is because most PM stepper applications are customised to match the motor to a specific duty. Our preference is to work with our customers by trialling samples in a pre-production environment before agreeing a final PM stepper motor specification. Q: Do you offer customised PM stepper motors? 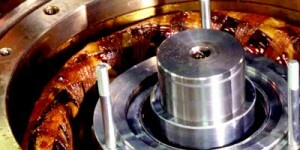 A: Yes, we can supply PM stepper motors with a very wide range of custom options, including special shafts, flanges, wiring, connectors and accessories such as gearboxes. We would be pleased to quote for your specific requirement. Q: Are your PM stepper motors suitable for worldwide use? A: Samples of standard products are normally available ex-stock or within 1-3 days. Custom designs and large quantities obviously take longer, but we generally set up a call-off schedule to ensure that a steady supply can be guaranteed. Q: How can I work out which power adaptor I need? A: You will need to know:- input voltage, required output voltage, output current, ac/dc and regulated/unregulated. This will allow you to select the relevant model range from the VA ratings of our power adaptors. Once you have this information, please contact us for a quotation for your specific requirements. A: For small quantities, most standard products are available within 1-2 weeks. Custom designs and large quantities obviously take longer, but we generally set up a call-off schedule to ensure that a steady supply can be guaranteed. Q: Can Astrosyn supply form/fit/function replacements for military specification AC motors? A: Yes, this is a speciality of ours and we have wide experience of providing this service, especially for naval projects on a world-wide basis. Q: Can Astrosyn repair and refurbish AC motors originally made by other manufacturers? A: In general, yes, and we have undertaken this work over many years, in particular for RN and ex-RN naval vessels. A: Yes, although sharing a common defence-standard heritage, all of our special AC motors are custom built. As such, there is an almost unlimited range of custom options, including shock ratings, IP ratings, magnetic and N&V performance, balancing planes, special shafts, flanges, wiring, connectors and accessories such as gearboxes and brakes. We would be pleased to quote for your specific requirement. Q: Do you offer submersible AC motors? A: Yes, we can supply special AC motors for submersible operation, e.g., oil platforms, deep wells, sewage and dredging applications. Our designs include surface cooled and forced cooled models, which cover all combinations of continuous and intermittent duty and wet or dry running at maximum power levels. Please contact us regarding your requirements. A: The nature of these products is such that they are only manufactured against orders. The lead times are generally in the order of months, including approval of engineering drawings, procurement of long lead-time items such as castings, precision machining and assembly times, and comprehensive in-house testing. Q: Can Astrosyn supply form/fit/function replacements for military specification DC motors? A: Yes, although the economic viability of these replacement DC motors is dependent on the quantities involved. Please contact us for further information. Q: Can Astrosyn repair and refurbish DC motors originally made by other manufacturers? A: In general, yes, although it is subject to the numbers involved. A: Yes, although sharing a common defence-standard heritage, all of our special DC motors are custom built. As such, there is an almost unlimited range of custom options, including shock ratings, IP ratings, magnetic and N&V performance, balancing planes, special shafts, flanges, wiring, connectors and accessories such as gearboxes and brakes. We would be pleased to quote for your specific requirement. Q: How can I work out which stepper motor drive I need? A: If you are new to these products we suggest that you start by reading our technical guides to stepper motors and stepper motor drives. These may be downloaded through the Technical section of this website. With this overview you will then need to review the motor and drive product ranges, e.g., unipolar or bipolar drive mode, drive voltage and current, size and style of drive etc. A: In general, yes, as they are DC powered and designed to International Standards. A: Yes, we apply all relevant European Directives to our designs, and where appropriate, carry out EMC testing in independent laboratories.